A good concealer is like a best friend, hard to come by and when you do you better hold on to them tightly. I have been testing concealers since the ripe old age of 13 (some may say that is too young for make-up but tell that to a young girl who's confidence is in tatters thanks to acne) and like my good friends the amount of concealers I deem trust worthy I can count on one hand. 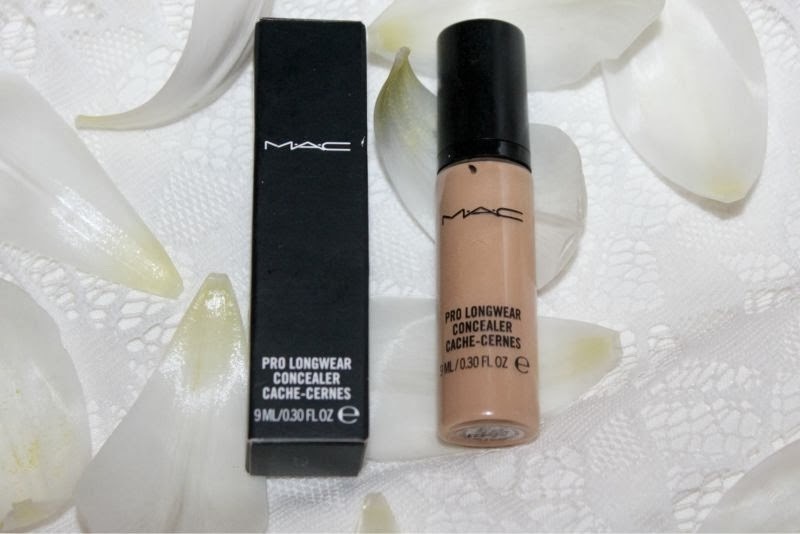 Well two now that I have discovered MAC Pro Longwear Concealer which I was first persuaded into buying last summer and let's just say three tubes down the line and I won't be turning back any time soon. 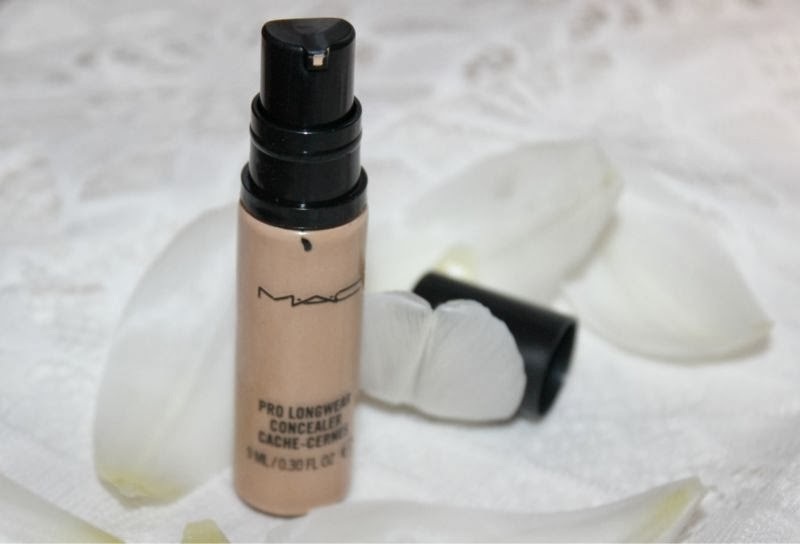 MAC Pro Longwear Concealer's packaging is a little different from any other concealer I use as it comes in an upright bottle with a pump. I rather appreciate liquid products that come with their own pumps as typically speaking it makes application a little easier and of course minimises mess. My only gripe is that the inbuilt pump in this instance dispenses far too much product. I kid you not when I say one single pump is more than enough product for at least three faces and as I only use this on my under eyes a lot of concealer goes to waste each time I use it. Sometimes I get lucky and manage to utilize the pump so only a dribble of product comes out at other times I shake my head at how much I essentially throw away. A little nit picky on my behalf I know but I feel I owe it to you to share the truth. That aside I do like how small the glass vial is making it perfect for travel. 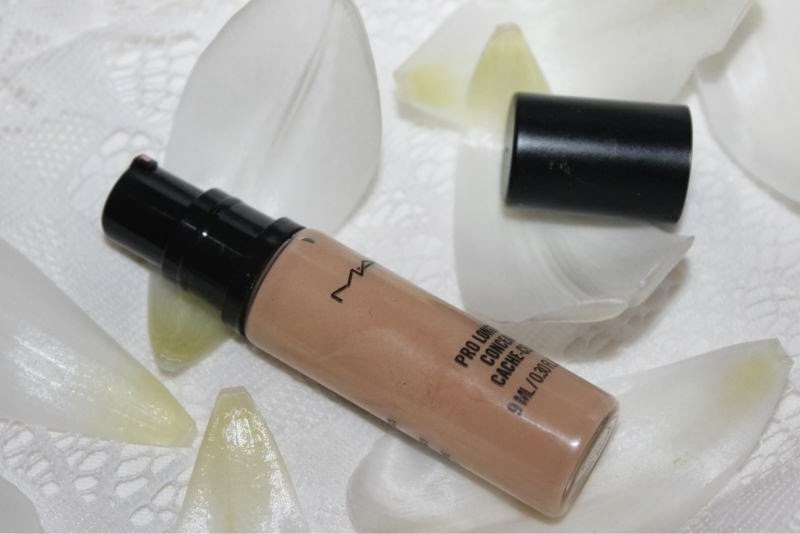 As mentioned I do like to use MAC Pro Longwear Concealer as my under eye concealer and tend to favour the shade NC30 as it is light enough to use as a highlighter for my eyes and brows but not so stark that it looks bizarre in person. The beauty of this concealer is that it is so light in texture (it feels like I have nothing on my skin which isn't always the case with MAC bases) yet offers high coverage without gathering into fine lines around the eye. It won't crease nor does it oxidise which is my two main concerns. The consistency is almost runny and more akin to a foundation than your typical concealer making it an utter dream to blend. Generally speaking to cover dark circles you should use a peach/pink toned concealing product to neutralise the blue/black tones but I find this concealer does the job nicely despite being yellow toned. 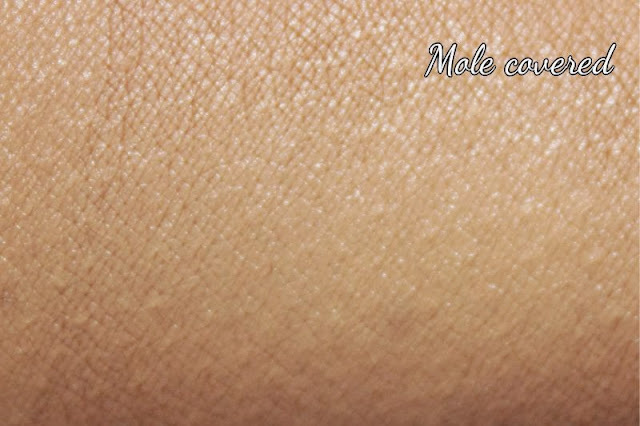 One quick application - I like to dab on and blend using my ring finger and my under eye is circle free and brightened. MAC are not kidding when they say this is long wear if set with a powder it truly does stay put all day (10 hours plus) even on my oily skin which is fairly rare. 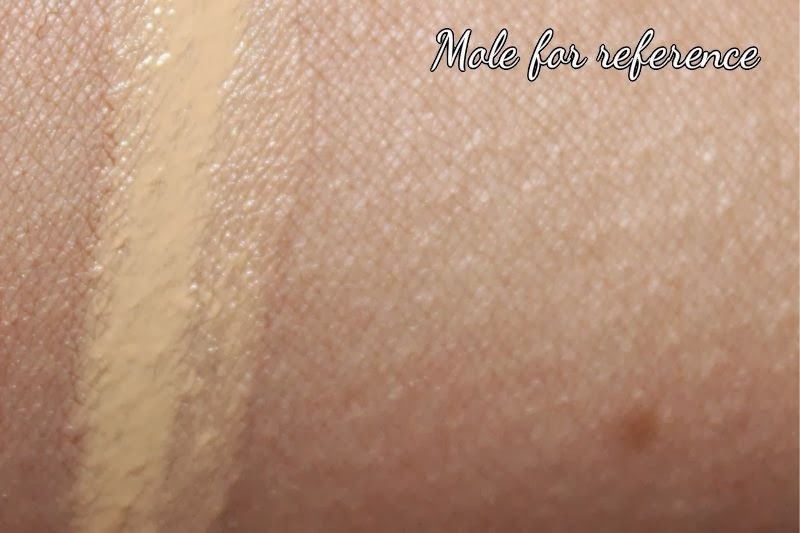 I have tried this over blemishes too and found it to do a great job too, I just tend to prefer a cream based concealer for spots and scarring as the coverage tends to be a little higher that is all. 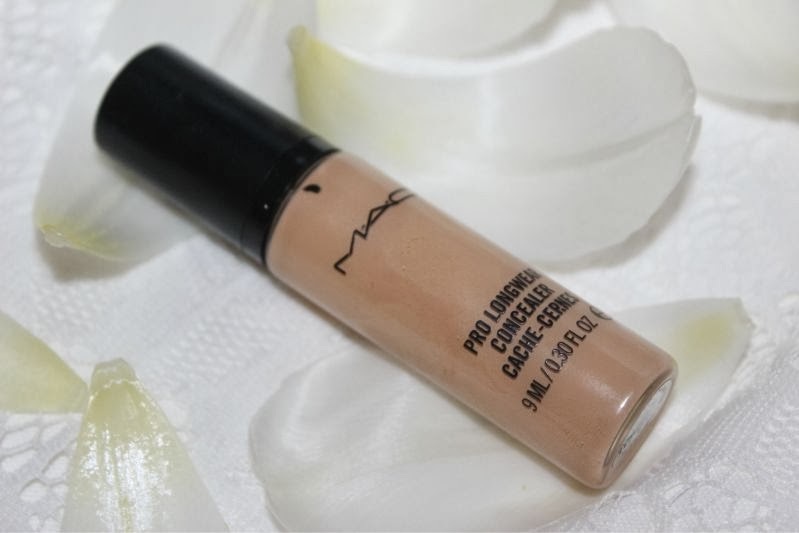 Although I personally adore MAC Pro Longwear Concealer if you have sensitive skin or eyes I do urge you to seek a sample as it MAC bases don't agree with every skin type. In my opinion if in doubt ask a member of staff at your local MAC counter and tell them your concerns and see what they recommend. Better safe than sorry!